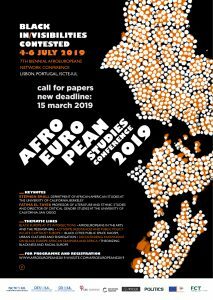 The Afro European network organizes its 7th biennial conference in Lisbon. Stephen Small, co-editor of the book series Decolonizing The Mind, is one of the keynote speakers. The conference is a platform for the production of knowledge in the pertinent field of transdisciplinary research on racism, black cultures and identities in Europe. It also offers the opportunity to strengthen and widen networks between scholars, activists and artists that question structural racism and are critically engaged with the production of postcolonial knowledge on european blackness and the african diaspora. This dialogue and networking is promoted through keynotes and panels, round-tables, individual speakers and artistic and cultural activities. The Islamic Human Rights Commission has set up a webpage with resources on the current situation in Venezuela in English, Spanish and Dutch. The page contains references to background information and analysis of the coup. Ramon Grosfoguel, Sandew Hira, Maz Blumenthal and Ahmed Kabalo reports directly from Venezuela with their analysis of the situation. In October 2018 the Birmingham Civil Rights Institute announced that Angela Davis, a Birmingham native, would receive the Fred Shuttlesworth Human Rights award, calling her “one of the most globally recognized champions of human rights, giving voice to those who are powerless to speak”. Recently, the organization changed its position and said Davis does not meet the criteria after all but did not explain why. It is now clear that it is because of her outspoken support of the Boycott, Divestment and Sanctions movement that protests against Israel’s treatment of Palestinians. DIN urges all activists to distribute the statement by sister Davis on this issue. On Saturday January 5, I was stunned to learn that the Birmingham Civil Rights Institute Board of Directors had reversed their previous decision to award me the Fred Shuttlesworth Human Rights Award. Although the BCRI refused my requests to reveal the substantive reasons for this action, I later learned that my long-term support of justice for Palestine was at issue. This seemed particularly unfortunate, given that my own freedom was secured – and indeed my life was saved – by a vast international movement. And I have devoted much of my own activism to international solidarity and, specifically, to linking struggles in other parts of the world to U.S. grassroots campaigns against police violence, the prison industrial complex, and racism more broadly. The rescinding of this invitation was thus not primarily an attack against me but rather against the spirit of the indivisibility of justice. January 7, 2019 to exist. Suriname, a former Dutch colony in Latin America, is going to set up an Institute for Decolonization of Suriname (IDS). After Venezuela that has set up a National Institute for the Decolonization of Venezuela and Bolivia with a Ministry of Decolonization Suriname is the third country in Latin America to undertake a systematic approach at decolonizing society. In its message to the people at the celebration of the 43rd day of independence the ruling National Democratic Party of Suriname stated that political independence is not enough and independence in thinking is needed. “The concept of Decolonizing The Mind is embraced and propagated by the NDP,” says the declaration. Conducting a scientific research into the history of Suriname from this decolonial vision. Producing a six-volume encyclopedia about the modern history of Suriname. Promoting other publications about the history of Suriname. Developing international networks on decolonization of science. Providing educational programs on the (de) colonization of the mind and decolonization of history and science. Moejinga Aboikoni-Linga will be the general director of IDS, who will have a staff of eight people. Sandew Hira, coordinator of DIN, will be the scientific director. 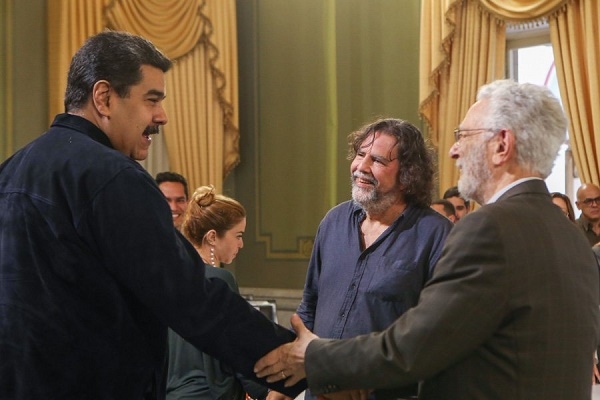 During the Third Decolonial School held in October 2018 in Venezuela Enrique Dussel proposed the foundation of an institute for the decolonization of Venezuela. Soon afterward Ernesto Villega, a former minister in the cabinet of Hugo Chavez, got the responsibility to formally set up a National Institute for the Decolonization of Venezuela. In a conversation with several intellectuals and activists, among them DIN founder Ramon Grosfoguel, Houria Bouteldja and Sabelo Ndlovu, Maduro emphasized the need for such an institute. 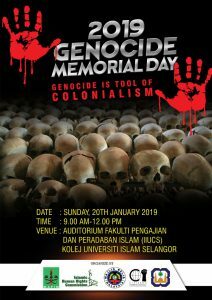 For the last ten years, the Frantz Fanon Foundation has explored the connection between Fanon’s work and the unfinished project of decolonization in dialogue with a large number of scholars and activists across the global north and south. The Bandung Conference of 1955 has been an important reference in the Foundation’s path, and the Spirit of Bandung has remained a profound and compelling inspiration. The Rutgers Advanced Institute of Critical Caribbean Studies, and, particularly, its Decoloniality Cluster will host an international encounter with Fanon’s work. The Institute has served as a link between the Frantz Fanon Foundation, which is an international organization, the Rutgers, New Brunswick campus, and regional and local spaces such as the Lazos Community Center in Downtown New Brunswick. The Rencontres will count with the participation of scholars, artists, and organizers who will not only share their cutting-edge work with each other and all the attendees, but who will inform decolonization projects taking place locally. These projects advance the decolonization of knowledge, critical theory, the human sciences, civic engagement, medical practice, aesthetics, and other areas of knowledge production and creative activity.